Wondering how to make a motorcycle seat? bikerMetric just did an awesome interview with Chris Chappell of TUFFSIDE, makers of handmade motorcycle seats. 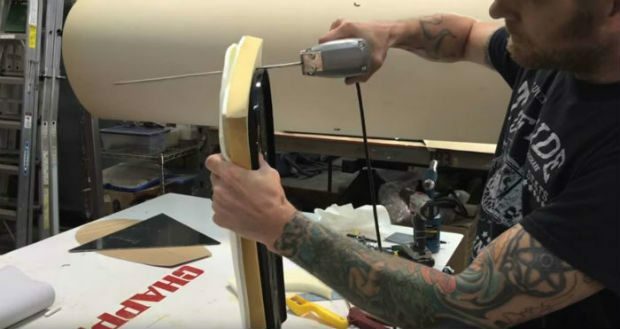 TUFFSIDE just shared a video on how their seats are made, perfect for anyone looking to buy a custom motorcycle seat for their chopper, bobber, scrambler, or cafe racer project. The video doesn’t go into great detail on how to make a motorcycle seat, but it does give a pretty good overview of the time and love that is required to do it right. In the bikerMetric interview, Chris explains how his push for perfection led him to make a motorcycle seat for himself, and the praise it got led him to make seats for the asses of the masses. 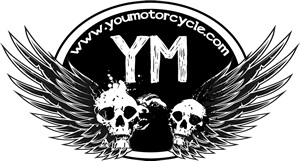 Here’s the interview from bikerMetric.com, shared with permission. bikerMetric: Hey Chris, welcome back. Let’s hear the story in your own words. How’d Tuffside come to be? TUFFSIDE: Tuffside Seats all started with my SR500 build ‘Devil’ about 4 years ago. I really didn’t like the look, or fit of all the other Cafe seats on the market, and couldn’t imagine putting all that effort into a bike and then just plopping on some generic cheap seat. After all, its the details that can make or break a great bike. bikerMetric: That’s why you don’t put a $1 bumper sticker on a $100,000 car. I get it. TUFFSIDE: The seat of all things is one of the most important parts of a “cafe” style bike. So what did I do? I bought a bunch of metal and got to work fabricating a large thermal forming machine. bikerMetric: Didn’t realize that you fabricated the machine yourself. Sweet. TUFFSIDE: Several modifications have been done to the original vacuum forming machine, but that machine is still in production today and has formed over 2,500 seat pans! It took several moulds and a bunch of scrap in the process, but I finally had something that I liked and that fit the SR500 build properly. bikerMetric: And then it hit the internet. TUFFSIDE: And I was overwhelmed with all the emails and questions on “Where did you get the seat?” and “Can you make me one?” – That is the moment TUFFSIDE actually began. bikerMetric: And it’s been growing. TUFFSIDE: Yeah. I think I now have 14 or 15 different seat designs, with several variations on each, so we can probably accommodate most bikes at this point. I’m always working on new seat ideas and new designs. Check out the rest of the interview on bikerMetric, and watch the video above for some inspiration on how to make a motorcycle seat, or at least, how they’re made over at TUFFSIDE.